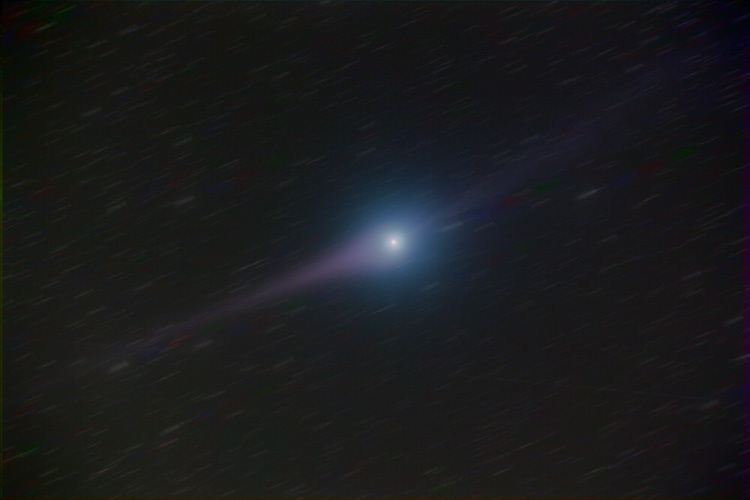 Comet Lulin (designated C/2007 N3) was discovered in July 2007 and reached perihelion in February 2009, when it became visible to the naked eye from a dark site. Technical Notes: Individual exposures were taken with the mount tracking on the comet, and then aligned on the comet nucleus before being combined. Reduce Noise amd Gaussian Blur were applied to the RGB image and the dim portions of the luminance image.